While it might seem like it's been a while since we've heard about the adaptation of Andrzej Sapkowski's The Witcher stories, it seems like the future Netflix series just crossed its first major milestone. TV writer and producer Lauren Schmidt Hissrich recently posted an update to social media, hinting that the pilot script had been completed for the series chronicling the exploits of Geralt of Rivia, bringing the high-concept fantasy series one step closer to the streaming service. 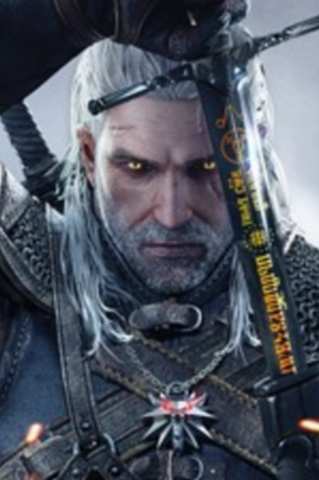 The Witcher novels are popular in Sapkowski's native country Poland, as well as many other countries, and have gone on to inspire a trilogy of popular video games developed by CD Projekt Red. The Witcher 3: Wild Hunt, in particular, has been one of the top selling video games years after release, for consoles and PC. A Polish television series based on the novels was released in the early 2000s, but it was received with poor reviews. This will be the first adaptation for global audiences outside of the video games. Lauren Schmidt Hissrich seems well equipped to handle these duties, having served on other adaptations for series such as Daredevil and The Defenders for Marvel Television and Netflix. While The Witcher novels are popular in their own right, the video games seem to be the most widely known version of Geralt's adventures. While the first two were slightly stand-alone affairs, existing tangential to the novels, the third almost seems like an end to the character's story, before Geralt's last canonical appearance but also providing a fitting end before the events of the book. It was the first game to include both Yennifer, Geralt's lover, and Ciri, his adopted daughter. It remains to be seen what aspects of these beloved stories will be adapted in Hissrich's series, but she recently wrote on social media that she has great love for the source material, indicating that the canon is near and dear to her heart. That's great news for any adaptation, so fans should remain hopeful that the Netflix series will maintain the standard of quality that fans of The Witcher are accustomed to.